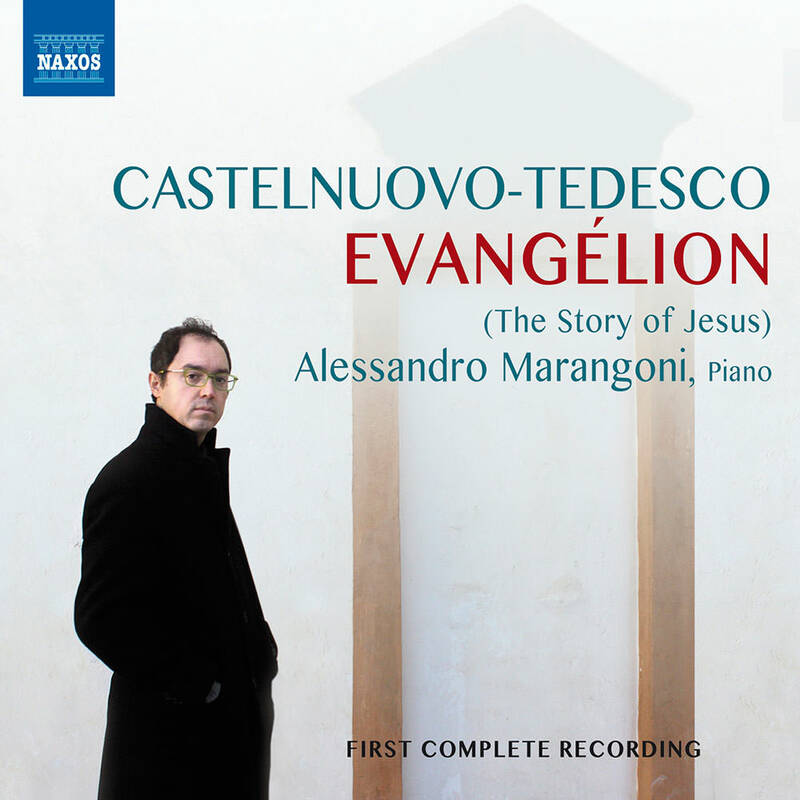 Evangelion: Part I, "The Infancy"
Evangelion: Part II, "The Life"
Evangelion: Part III, "The Words"
Evangelion: Part IV, "The Passion"
Mario Castelnuovo-Tedesco was Jewish by culture but regularly composed on Biblical themes. A meditation on stories from the New Testament in music of tender simplicity, moving lyricism and potent drama, the epic but rarely-heard Evangélion starts with The Annunciation and concludes with The Last Words and The Resurrection. Composed in 1947 soon after the death of the composer’s father, the work was possibly conceived after a visit to the Acolman Convent in Mexico. This is its first complete recording, showcasing the talented Alessandro Marangoni on piano.